However, a combination of falling attendances and financial difficulties lead to a return to the West Midlands League. In 1984 a consortium of local businessmen took control of the club and in 1987–88 Tamworth won the League and were promoted back to the Southern League. In 1989 the Lambs won the FA Vase defeating Sudbury Town in a replay. 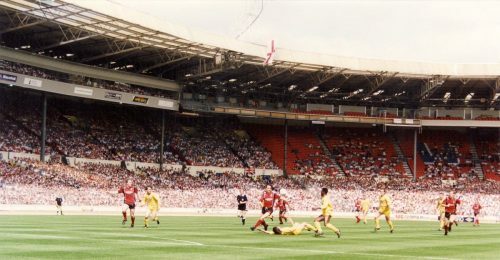 The first game was played at Wembley Stadium, and finished 1–1. The subsequent replay was played at the much less glamorous London Road, home of Peterborough United, and Tamworth won 3–0 to lift the FA Vase for the first time. 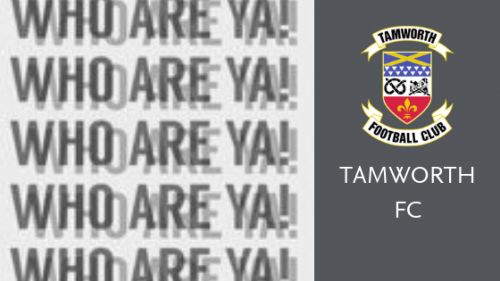 Tamworth reached the final of the FA Trophy in 2002–03 season where they played Burscough but were beaten 2–1. 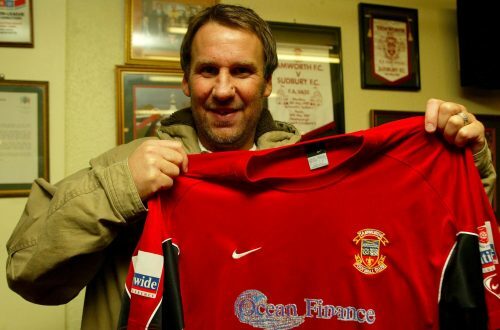 In 2005-06 Tamworth escaped relegation from the Conference National following Canvey Island’s resignation from the league. 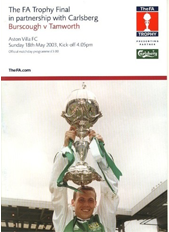 The Lambs did, however, reach the 3rd round of the FA Cup for the first time in 2005-06 when they were drawn away to Stoke City, then a Championship side, and were narrowly beaten on penalties in the replay. 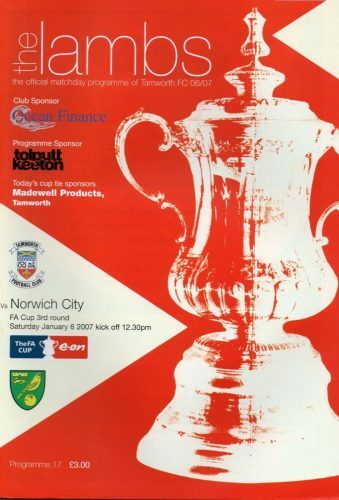 The following season, Tamworth once again found themselves in the 3rd round of the FA Cup this time losing out 4-1 to Norwich City at home. Tamworth were relegated to the Conference North from the Conference in 2006-07. After just two seasons Tamworth secured the Conference North title and were promoted back to the Conference Premier for the 2009-10 season. In 2011-12 Tamworth once again reached the 3rd Round of the FA Cup drawing Premier League Everton. Around 5,000 Lambs supporters made the trip to Goodison Park to witness the Lambs losing 2-0. After five seasons in the Conference the club was once again relegated to the Football Conference North for the 2014-15 season. Another relegation followed at the end of the 2017-18 season and the Lambs entered the Southern League Premier Central. Full Time. @RoystonTownFC 1. @ROFCOfficial 3. Att 258.